Ready to get selling? Start with Sales Orders. 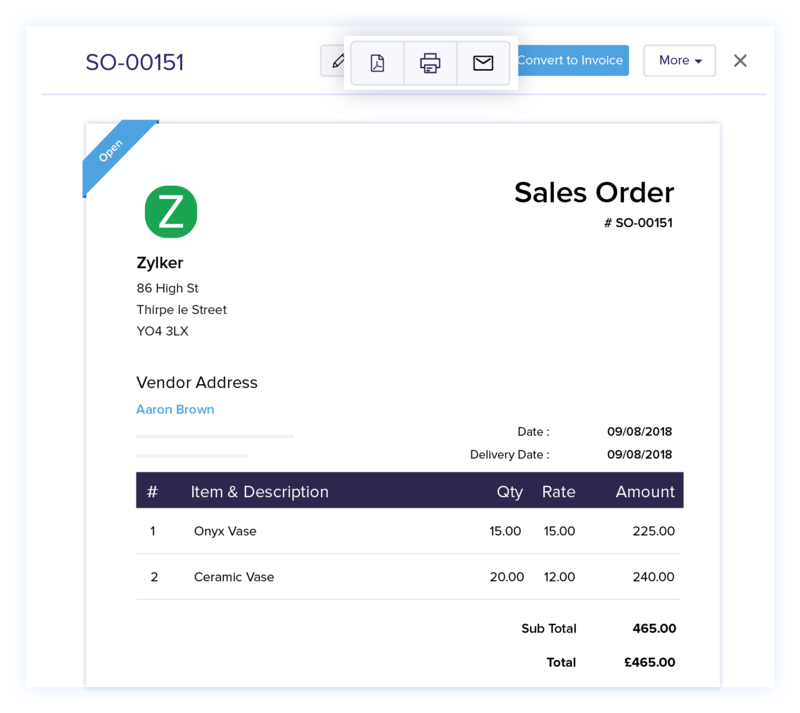 Confirm sales before you ship them, keep your team updated, and avoid delivery errors with Sales Orders from Zoho Books. Personalize every communication you send. Sales Order can be customized with a brand logo, font type, and color to match your company's style. 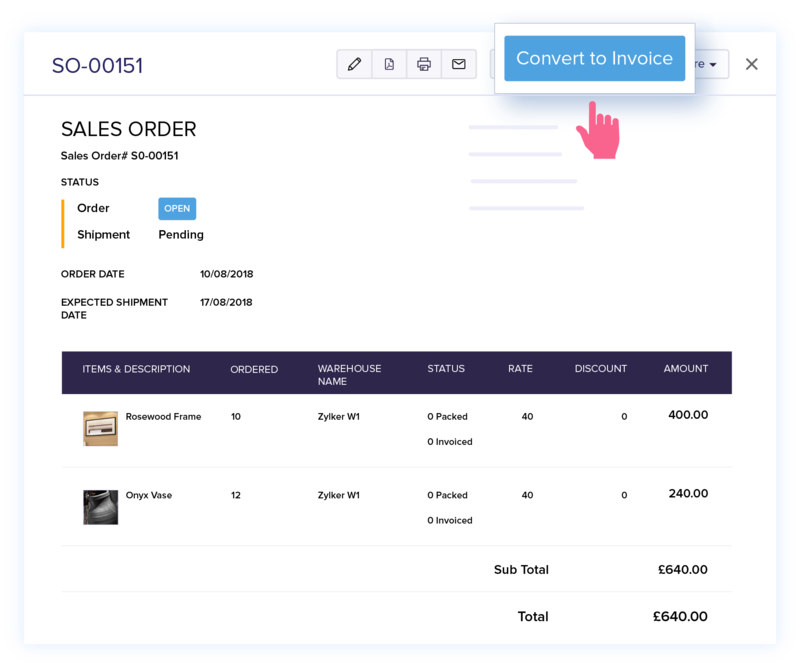 Convert an approved estimate into a sales order, and then into an invoice! Zoho Books makes it that simple. What happens when your client orders 50 products and you have only 20 ready? 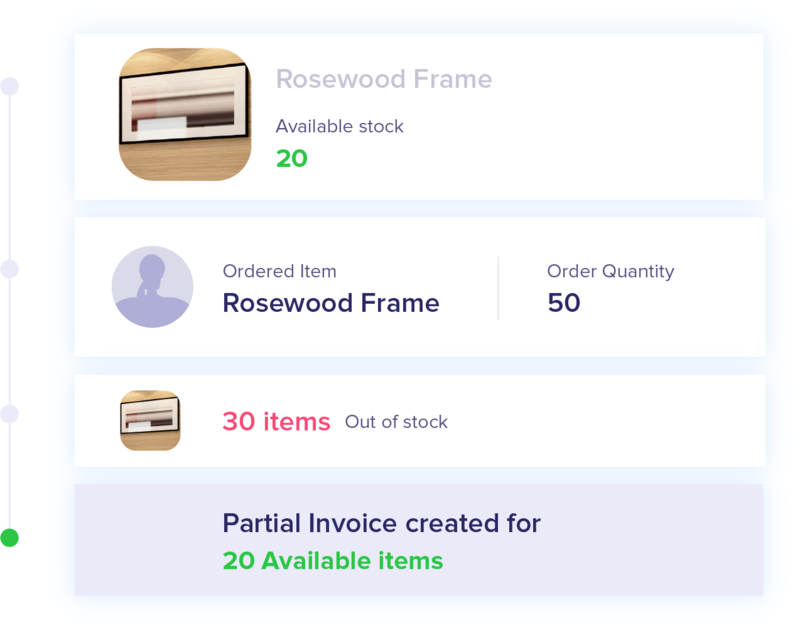 With Zoho Books, you'll be able to instantly create a partial invoice for the available products and ship them out directly. Short on stock? Not enough time to create more product? 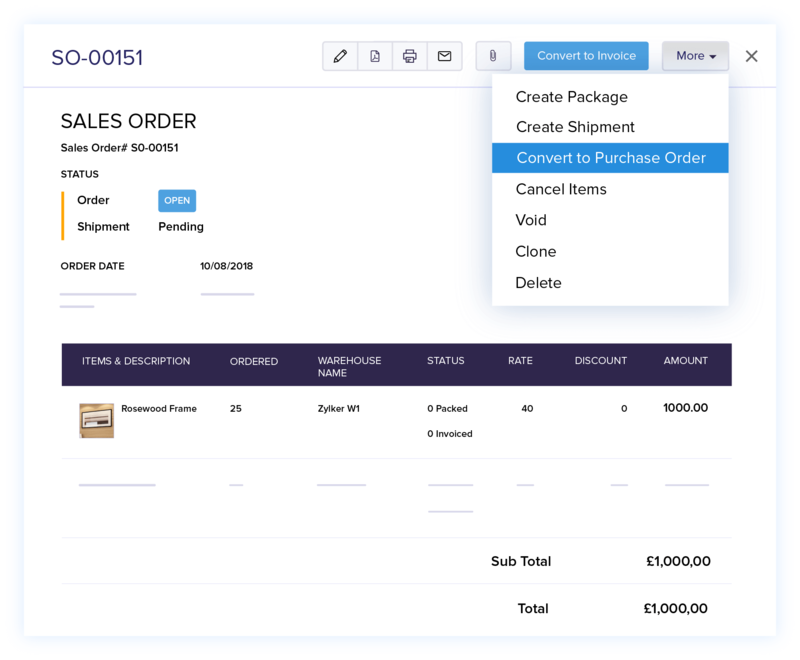 Instantly convert a sales order into a purchase order to send to your vendor. 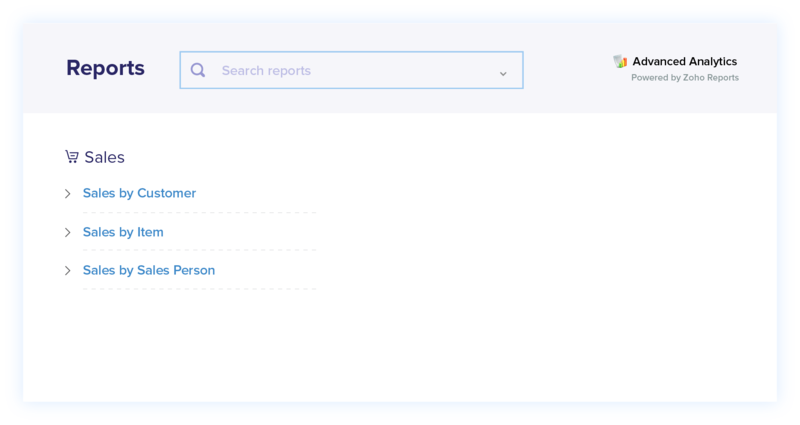 Identify your top customers and your bestselling products with our real-time reports on your transaction history. 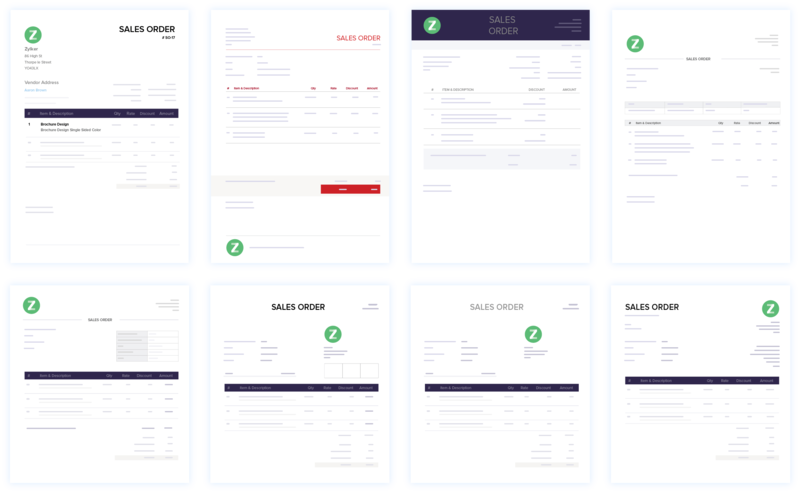 Create clones, print out a copy, or simply share sales orders over email with your team. Get sales orders. Get Zoho Books.